Email marketing is a form of online marketing that depends on promoting business through well-drafted emails. Even though the ROI of email marketing is exceptional, businesses still fret to use email marketing. But why? Well, one of the reasons is that marketers fear that their marketing emails will not reach their audience and end up in the spam folder. The fear is justified as sometimes even the most well-drafted emails end up in the spam. So what can businesses do to make the most of email marketing without ending up in the spam folder? Well, here are some ideas. Spam can be defined as an email that is unsolicited and sent in bulk to people without checking whether it is relevant to the receivers. When you send bulk emails without the permission of the users, they can be marked as spam. If you are not permitted by a user to send them promotional emails, the email will come as a surprise to the user, and they will mark you as spam. Avoid using deceptive subject lines, sender names and reply-to addresses. Include an unsubscribe link in your emails that is functional for 30 days from the date of the email. Mention your companies physical address in the email. Identify your email as an ad if it is one. The other law in effect from July 1, 2014, is Canada’s Anti-Spam Legislation (CASL). According to this law, the violators will be penalized with a penalty of $1 to $10M based on the violation. This act covers all types of electronic messages apart from email. Spam filters are lists of criteria set by email providers, based on which your email can be marked as a spam. These criteria define the level of spam in your email. 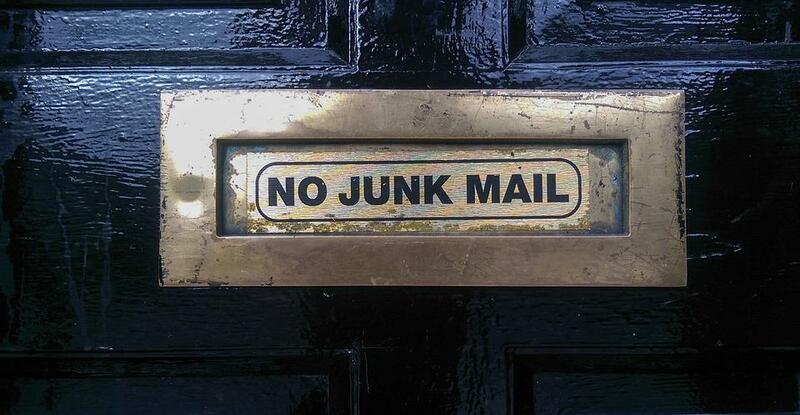 If the level is too high, your mail is automatically sent to the spam folder. With time, as people device new ways to spam through emails, these filters are adapted to catch such actions. Majorly the spam filters depend upon their users to mark an email as spam. However, there are certain criteria based on which the filters directly mark an email as spam without the user’s intervention. The IP address: Spam filters learn from their users. So if you mark an email as spam, the filters will automatically send the emails sent from the same IP address in the spam folder in future. This way, you will not receive any more emails from the flagged IP address in your inbox. The email metadata: The email metadata refers to the basic detailing of the email. This includes your ‘To’ field, your website domain and whether you are already a contact in the user’s address book. Controlling your ‘To’ field and the domain name is in your hands. However, to pass through this filter, request your subscribers to add you in their contacts. Email Content: Spam filters do a quick scan of your email content before passing you. If your email contains content or images that are not suitable as per the filter, your email will be flagged. So design and draft your emails accordingly to promote your campaign. Your subscriber list is a key factor in your email marketing process. A lot depends on the type of email list you have. Even the best of email could end up in spam if it is targeted at the wrong audience. The list of the wrong audience is acquired when you create your list with the wrong methods. These wrong methods include renting or purchasing a list of subscribers, sharing a list with another business and harvesting emails with the help of bots. Instead, plan to build your email list organically but asking for subscriptions from your website and social media profile visitors. Generally, the options that enable people to subscribe for your emails are either added as a pop-up on your website or as a call-to-action in a campaign. Often people end up subscribing for your emails and forget, or sometimes it happens out of a mistake. You need to verify such customers as ignoring this would make your email a spam for uninterested users and impact your IP address filtering for general service providers. To verify whether a user is genuinely interested in receiving your emails, use a double opt-in method. An opt-in is when a user subscribes for your emails. A double opt-in is a welcome email that you send to your new subscriber. This email serves two purposes. First, it welcomes your new follower, and second, it asks for confirmation from the user to continue emailing them. Such double opt-ins act as a reconfirmation of an interested customer and reduces the chance of your email going into the spam folder. Domain Keys Identified Mail (DKIM): The DKIM authentication verifies an email to ensure that the email was not altered during the transition. Sender Policy Framework (SPF): This authentication verifies that you are the person you are claiming to be. This is done by verifying the IP address of your email with the list of IP who have authority to send emails from your website domain. Domain-based Message Authentication Reporting and Conformance (DMARC): DMARC is an amalgam of both the above-mentioned authentication. In this authentication, the email address should be verified by both DKIM and SPF to be able to send emails. Once you start with email marketing, you will learn to bifurcate your list based on the purpose of your emails. When you are in the process of managing your list, spend a little extra time and update your email contact list. Over a period of time, some customers may have moved on or stopped using your service. Remove such users from your email list. Also, at times some email ids become inactive due to lack of use. Remove such email ids as well. Keep in mind sending emails to a smaller but interested audience is beneficial over sending email to a large group of people who are inactive or disinterested. What is the first thing you do when you open your email? You check for the sender of each email and accordingly decide which needs to be opened and which does not. This is the case with the majority of the masses as almost 43% emails are spammed purely based on the ‘from’ field. Keeping this fact in mind, use an email id that has a name when you do email marketing. For example, when sending birthday emails to your subscriber, the greeting coming from john@yourcompnay.com will have a better impact than support@yourcompany.com. In the process of email marketing, there are some old tricks used by marketers such as using ‘Re:’ in the subject line to give a perception to the user that the email is a reply or making unrealistic promises. Such foul plays will get your IP address flagged and create a bad reputation around it. If you get a bad reputation, your emails will only go to spam folders and never reach your target audience. So make sure you follow the right techniques. If you want to check whether your email IP has a bad reputation, you could try using the MxToolbox. All you need to do is enter your domain name and IP address in the tool to get it analyzed. As discussed earlier, even though there are filters, a user is still a major decision maker when it comes to marking an email as spam. A major factor contributing in this decision is the subject line of your email. Often people put emails in the spam folder simply based on the subject line. So if you really want to increase the open rate of email, you need to put in extra efforts in drafting a good subject line. To start with it, choose your words wisely, as there are certain words that act as spam triggers. Apart from choosing your words wisely, you need to ensure that your language is clear with no spelling mistakes. When writing subject lines, do not just use one word or too many words. Also, refrain from writing in all caps. Though it will grab the attention of the reader, it will seem like you are shouting at the reader. Lastly, try to personalize the email for the readers and do not make them feel that they are just a part of a long list of subscribers. With your email, you plan to engage the readers and make them want to take an action immediately. This will motivate you to draft captivating emails with lots of images and videos to capture the attention of the subscriber. Don’t do that! While the idea is good, it does not work for emails. Why? Because the coding of emails is different from general web pages. Embedded videos and heavy images are tricky to use in such coding. Sometimes they take too long to load and sometimes they do not load at all. When this happens, your email body looks badly structured. This will make the viewer skeptical about your email. In case large media formats are necessary for your campaign, simply insert a link in the email to direct them towards that media. Like any other online marketing technique, email marketing also provides you with an option to analyze your marketing efforts. Use this feature to track how your email marketing campaign is performing. To ensure that your email is not getting spammed, the metrics to look at is the open rates, the CTRs, and the spam complaints. When you are performing this analysis, you will find some negative results and spam complaints. That’s normal and it happens to every business. Instead of worrying about the negative results, take it as a feedback and use the information to rework on your campaign for better results. If you are a business that is considering email marketing for their next marketing campaign, using the above-mentioned ideas will help you cross the spam hurdle and enable you to reach the finish line to your target audience’s inbox.